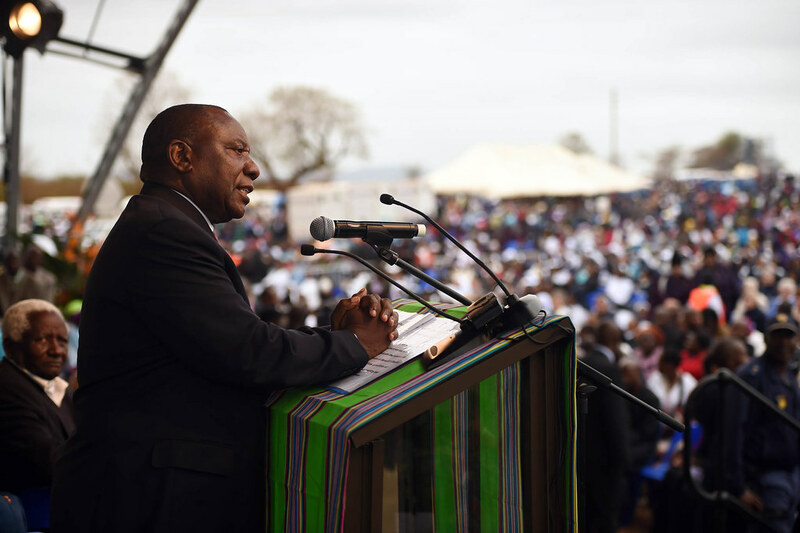 Cyril Ramaphosa speaking in Sibasa, Limpopo Province in 2015. Image credit Government of South Africa via Flickr (CC). 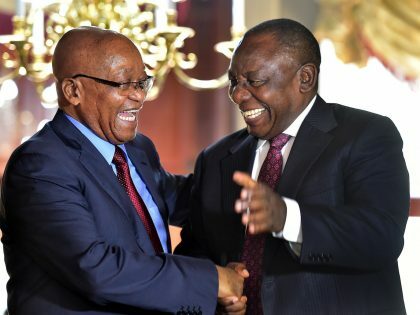 Struggle credentials still matter in South African politics, and Ramaphosa’s are different than his predecessors’. He is South Africa’s first president to come from the internal mass movements of the 1980s (rather than prison, or exile); he is South Africa’s first president with roots in the Black Consciousness Movement, and in its unions; he is South Africa’s first United Democratic Front president, and its first to be educated under Bantu Education. 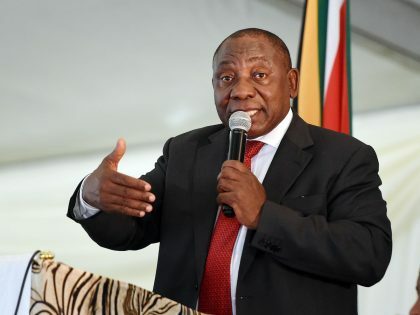 This last point refers to Ramaphosa’s education in segregated apartheid schools and universities, and his rise to political activism within these structures, especially while he was a student at The University of the North (now the University of Limpopo) in the early 1970s. This was an important space of political formation for a new generation of South African student leaders. 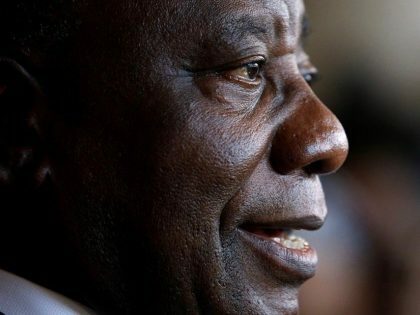 Ramaphosa is just one of the high-profile leaders to have come through its ranks. Despite having been founded in the late 1950s as part of the apartheid government’s effort to segregate universities, the University of the North (nicknamed Turfloop) became a hotbed of political dissent in the years preceding the Soweto Uprising of 1976. During this time, it was a crucial space for politicizing young black students, particularly through Black Consciousness ideology, and it became an important node in a larger network of educational institutions through which these ideas, and new forms and mechanisms of protest, were spread. Throughout the 1970s Turfloop experienced large-scale student mobilizations and regular university shutdowns, in ways that might seem familiar to students and staff of South African universities in today’s era of Fallism. Routinely student activists were expelled for their political activities, and sometimes jailed—as Ramaphosa was after a pro-FRELIMO rally on campus in 1974. During the early 1970s Turfloop became a critical space of student activism, but one of its most important roles was in how it was linked to other educational institutions, within a broader network of student activism. This network was facilitated and maintained by the movement of individual students between institutions, like universities and schools, and by the presence of cross-cutting organizations, like the Black Consciousness-affiliated South African Students’ Organization (SASO), which maintained a presence on all black university campuses. SASO actively aimed to link student struggles across campuses, leading solidarity protests at Fort Hare and the University of Zululand in 1972, when Turfloop experienced its first major campus shutdown after a controversial graduation speech given by Onkgopotse Tiro. Tiro, an education student, was expelled in May of 1972 for his overt critique of the government and the hypocrisy of having an ostensibly black university run by white administrators. His expulsion prompted mass student protests, and the shutdown of the campus. It did not hamper Tiro’s activism, though. He went to work in the SASO executive, and became one of its most prominent proponents to other students. Tiro left Turfloop and began to travel to other educational institutions, propagating Black Consciousness ideas as he went. Initially after his expulsion he spoke at schools in his home area of Lehurutshe, near the Botswana border. In early 1973, he was hired to teach history at Morris Isaacson High School in Soweto. Much has been written about the place of Morris Isaacson during the June 1976 Soweto Uprising. Though Tiro had been assassinated by the time students in Soweto took to the streets, in his short time at Morris Isaacson he played an important role in teaching and politicizing some of the leading student activists in the uprising, most prominently Tsietsi Mashinini. These included In addition to his work in the classroom, which many former students remember as formative for their political identities, Tiro acted as the SASO liaison to the South African Students’ Movement (SASM), an independent school-level organization that played a key organizing role in the students march on 16 June 1976. Tiro’s political activities as a teacher were not unique, or even very unusual. Many of his fellow former Turfloop students undertook similar work, and took up teaching posts in Soweto and elsewhere. Ramaphosa himself spent time in 1976 teaching students at Soweto’s Meadowlands High School, along with his friend (and fellow Turfloop expellee) Lybon Mabasa (who later became president of AZAPO, a movement to the left of the ANC that claimed Steve Biko’s ideological mantle). Other ex-Turfloop students followed similar trajectories. My article, “Student/teachers from Turfloop: the propagation of Black Consciousness in South African Schools, 1972-76,” in the latest edition of the journal Africa explores the influence of some of these students-turned-teachers. 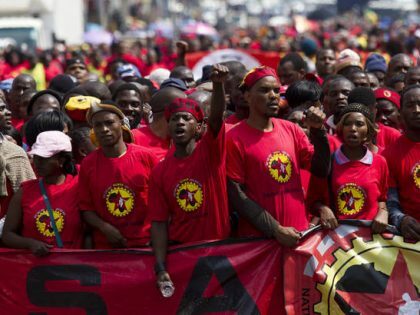 Their work, in secondary schools around South Africa, played an important role in the conscientization of a new generation of student activists. Their influence sometimes extended beyond their own classrooms. The late Peter Mokaba, who went on to lead the ANC Youth League during the democratic transition and was educated at Hwiti High School (just outside the gates of Turfloop) in the mid-1970s, has credited Tiro and Black Consciousness as important influences on his early politicization. Mokaba himself became the leader of a new generation of young people, in the late 1980s and 1990s. Today, more than forty years after the events of the Soweto Uprising, it remains a touch-point for youth politics in South Africa. In some ways, the end of political apartheid disrupted the tight networks that had fostered the Uprising—Turfloop and its fellow historically black universities are now part of a larger field of universities available to all South African students. But as recent student protests have demonstrated, the movement and communication of students between educational institutions remains a powerful mechanism of mobilization, and the ideas that were fostered in these networks in the 1970s—like Black Consciousness—are finding salience again among a new generation of activists. Jacob Zuma’s nearly decade long regime competed with Thabo Mbeki as the worst presidency of South Africa’s short post-apartheid order.